Perfectly plush and incredibly chic, the Aston Dining Chair Charcoal Fabric is a stunning item for the dining room, bedroom, and beyond. Complementing a variety of interiors with its minimalist appearance, the Aston is a smart piece of furniture. 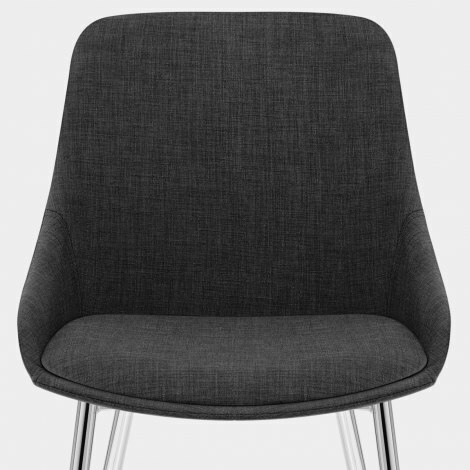 Charcoal fabric upholstery offers a cool and cosy feel to the ergonomically shaped seat. 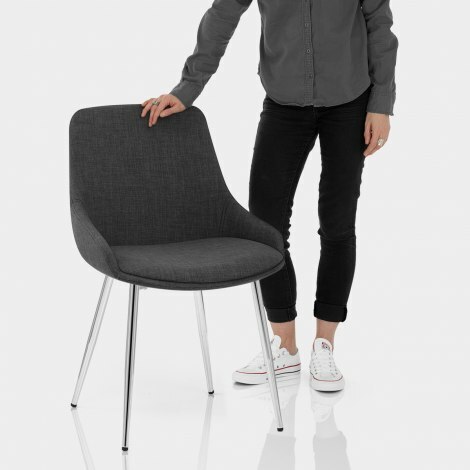 This has a supportive back that wraps around the seat, both of which are filled with high-density padding, delivering a comfortable dining experience. A strong four-legged frame sits beneath the seat, and is given a polished chrome finish. Elegantly tapering towards the floor, the frame has sleek style and keeps your floors free from scuffs thanks to the protective plugs beneath the legs.